Rafael Benitez is hoping for a helping hand in the January transfer market no matter who owns Newcastle. The saga surrounding Amanda Staveley's attempts to buy the club from Mike Ashley took a fresh twist when pictures emerged of the pair leaving an Indian restaurant in London separately amid claims that they had finally held face-to-face talks. But whether the sportswear magnate or Staveley's PCP Capital Partners are at the helm when the winter window opens, Benitez is keeping his fingers crossed that he will be able to strengthen a squad which has found like back in the Premier League tough going in recent weeks. 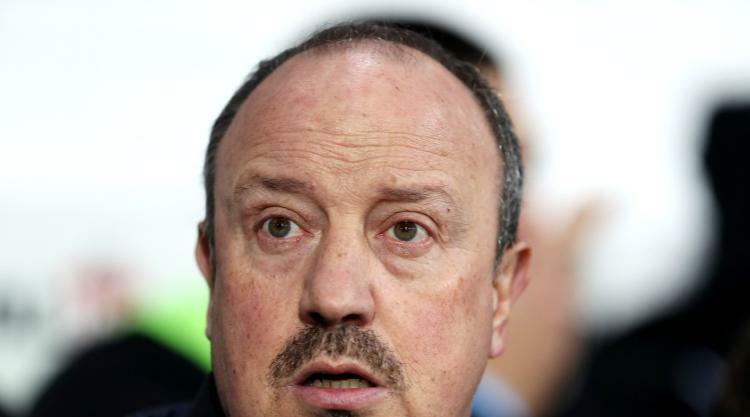 Asked if he believes there is enough within the current crop of players to stay up, Benitez said: "That we will stay up is my conviction but at the same time, a good hand could help, to bring someone in to help. "My main thing now is to focus on the games and I'm doing that but at the same time, we had a meeting about August in May and I'm expecting the money we weren't spending could be available. "Hopefully we can sit down and see where we are." In the meantime, Benitez will prepare his team for Saturday evening's home clash with Leicester on the 125th anniversary of the club's formation refusing to be caught up in takeover speculation. Asked if he had been briefed on what had happened at the Ashley-Staveley rendezvous, he replied: "No, I don't need to be. "We have a game tomorrow and it doesn't change my approach to the game. All I can do is to influence the things I can influence. "I was not there, so I have no idea. I know because everyone around here is obviously talking about that. It doesn't change anything for me, so I have to pick the team the squad and prepare for the game." On the field, the Spaniard has been boosted by the return to fitness of skipper Jamaal Lascelles and winger Christian Atsu ahead of back-to-back home games against the 2016 champions and Everton with his team having lost five of their last six league matches. Speaking about the Foxes, he said: "It was amazing what they achieved, and a lot of the players who won the title for them are still there. They have quality and it will be a hard game."